Hello everyone, Hope you all are doing good. Nowadays charcoal peel off masks is in trend. It is very effective to remove blackheads and whiteheads. 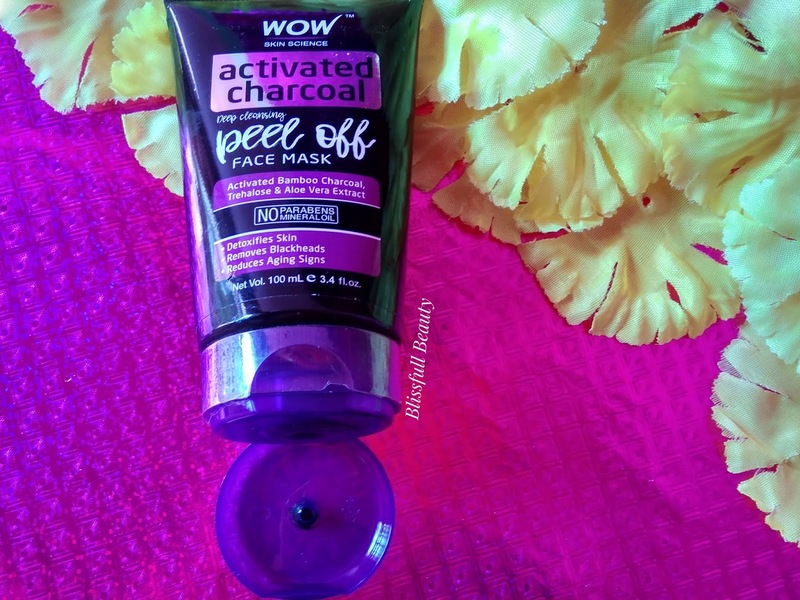 Today I am sharing Wow Skin Science Activated charcoal peel off face mask review. I already used many WOW products their products are quite good. 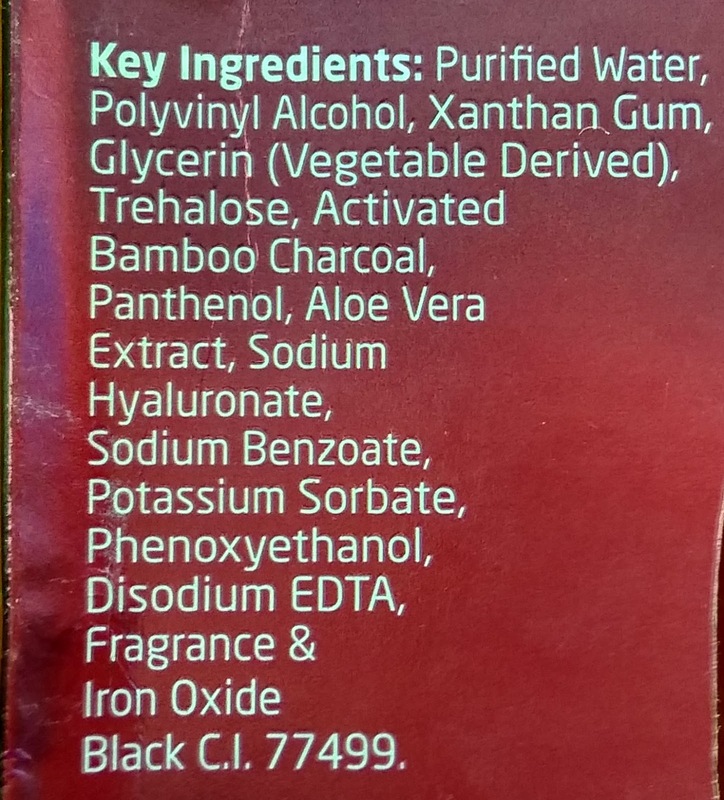 And the best part of this brand is it is paraben, sulfate, and mineral oil free. 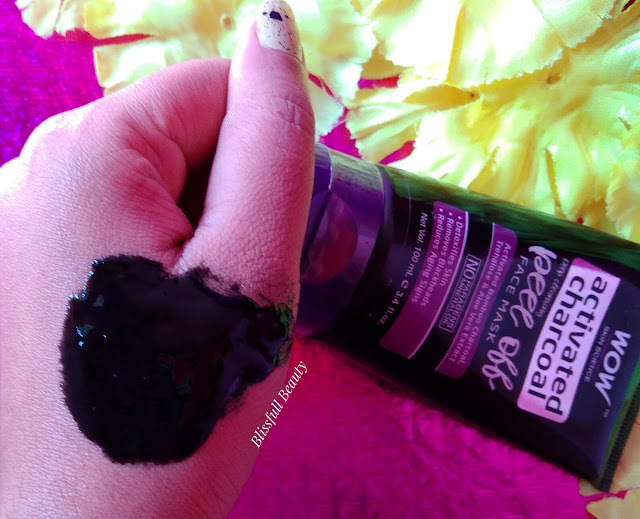 Let's get into this post to know this peel off mask works or not. 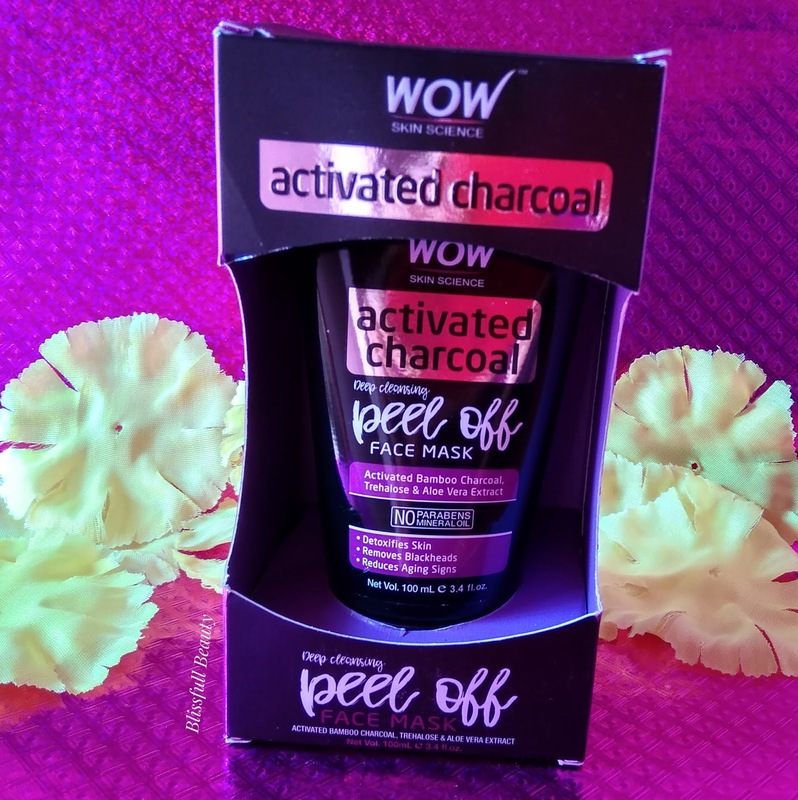 Wow Skin Science Activated charcoal peel off face mask brings the celebrated skin purifying powers of Activated bamboo charcoal powder that gently draws out hidden toxins and impurities from deep within your pores to leave your skin clearer, brighter and younger in appearance. Besides Activated Bamboo Charcoal powder, this peel off mask has also been enriched with Trehalose (a natural sugar that works as an anti-aging bioactive)that helps lock in precious moisture for supplier and smoother skin. Aloe vera extract provides abundant antioxidants and minerals to radiant skin. 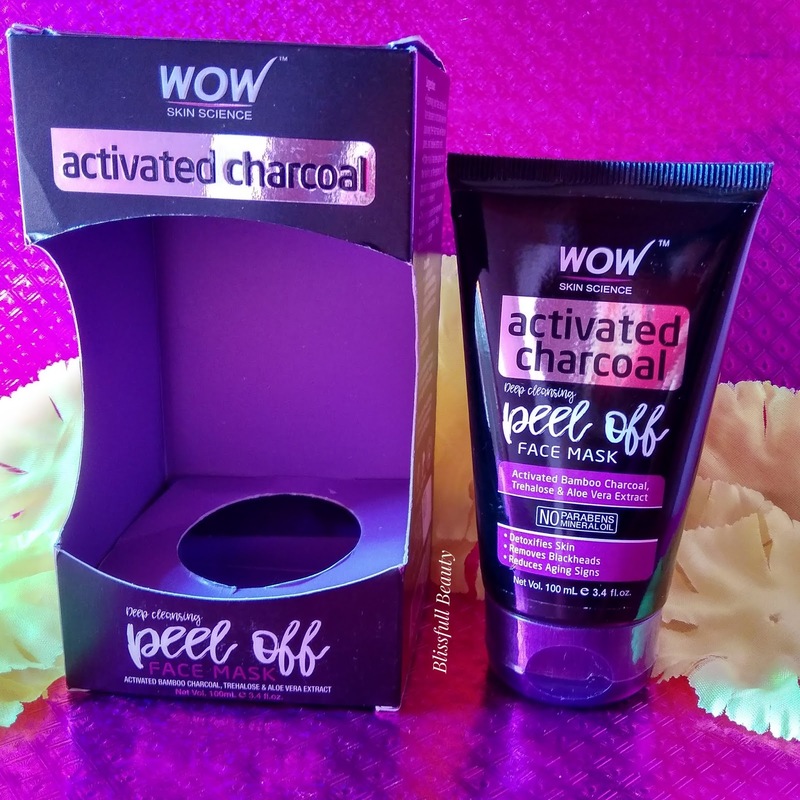 Wow Skin Science Activated charcoal peel off face mask comes in a black and purple color card board packaging and inside there black and purple color tube packaging. The tube secured with a purple color flip cap and all details information is mentioned outer as well as inner packaging. 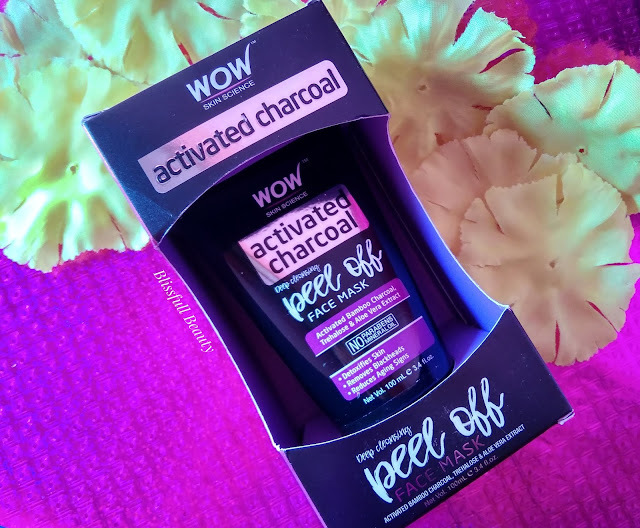 Wow Skin Science Activated charcoal peel off face mask has black color semi-liquid consistency and the fragrance is amazing. You can buy through this link to get some discounts. Cleanse your face. Apply a thin and even layer of the face mask all over your face except around eyes and on lips. Leave on to dry for 15 to 30 minutes, or as required. Once the mask is fully dry and right, start peeling from bottom upwards till the entire mask is removed. ⚫Removes toxins, impurities & dead skin cells. ⚫Minimizes blackheads, refine pore size. 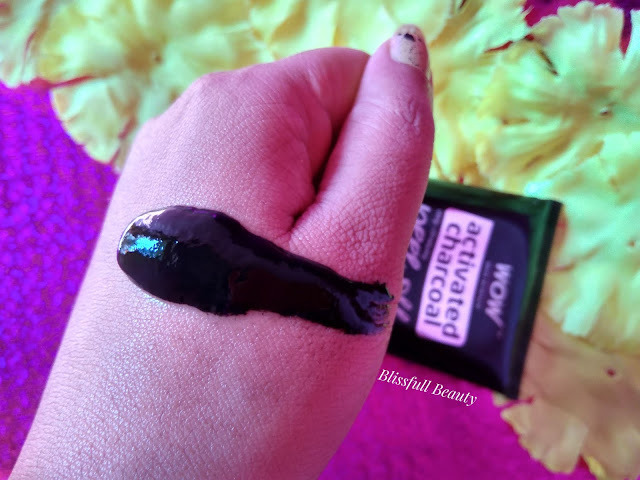 ⚫Balances oil production for natural radiance. ⚫Brightens complexion, evens out skin tone. ➡Paraben free, sulfate free, mineral oil free. When I heard the name of peel off mask it sounds quite interesting and excited to try out this peel off mask. 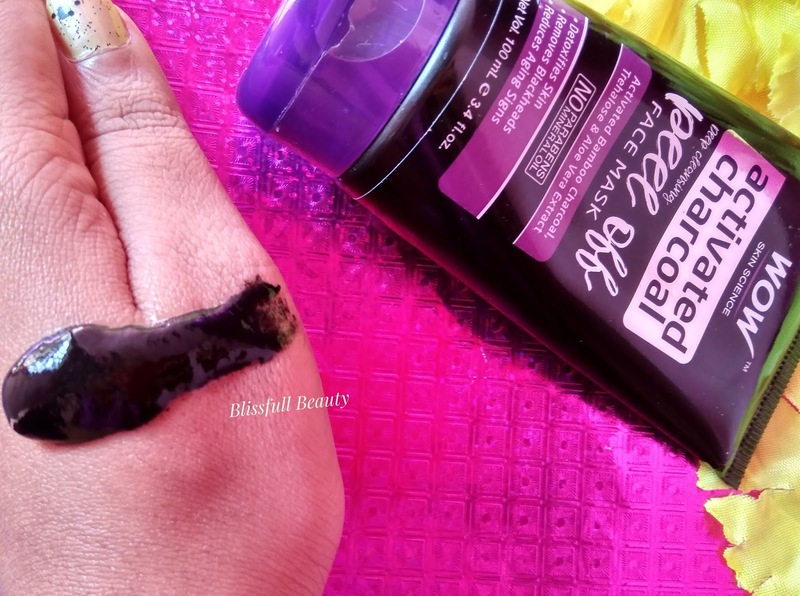 As the consistency of semi-liquid, it applies evenly on face and it dries quickly also. First, I cleanse the face and apply this peel off mask and after 15 minutes I slowly peel off this mask down to upwards. It removes whiteheads and my face looks clear and brighter. It does not painful and easily peels off which I like the most. 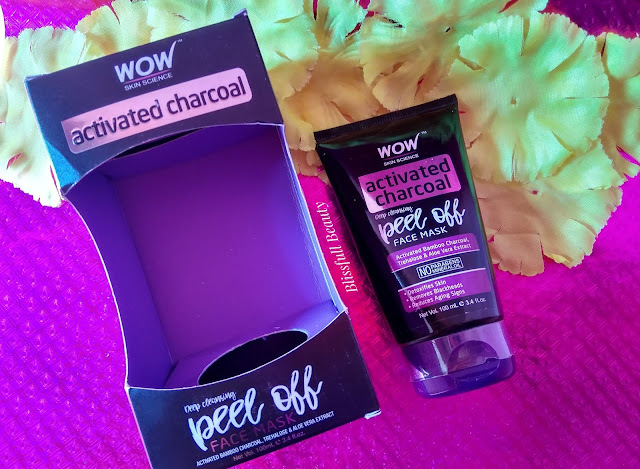 I recommended to all of you try out this peel off mask and share your experience with me in the comment section below.